We all love some decent lighting at home. However, most homes have a few dark corners and nooks that can add gloom to a space. A poorly lit home can cause an unpleasant space indoors and make being at home less desirable. 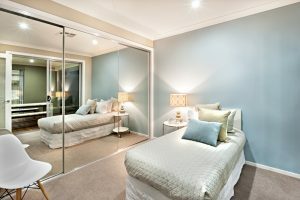 Although there are a variety of artificial light options, the key is to find the best way to light up the home naturally. Natural light is excellent for daytime hours, as it saves energy and makes a space look more welcoming. Below are 5 ways to add more light to a home naturally. Make the most of your windows! The most obvious idea is having lots of windows. Ensure every room in the home has a natural light so no artificial light is required to be on during the day! Let light seep in thru the windows in the daylight hours to make a space feel more alive. In having a lot of windows, there are a variety of options: There are the conventional windows; there are clerestory windows, which sit above the eye level, high on the wall-yet still brighten interiors; skylights which are windows that bring in light from the sky! 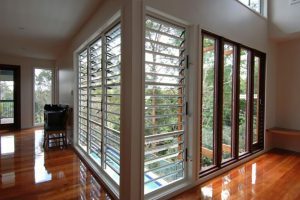 Going with a lot of windows in the home, the next step is choosing the right window covering because that can make all the difference in how much light the windows give off. Drapes can be heavy or light depending on preference. However, lighter colored drapes allow light to reflect through when it is daylight, without being too interfering or disturbing any sleep. 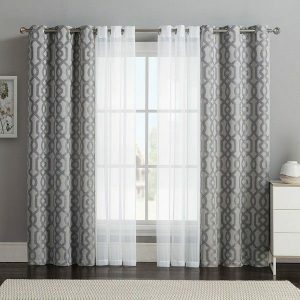 In more public areas of the home, sheer drapes are an excellent solution. They also provide the same, natural light without being blinding. In naturally lighting a home, colors matter a lot. 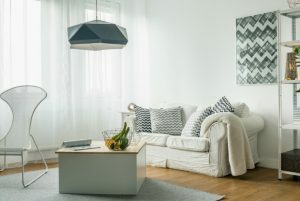 While choosing the general color scheme for a particular room or a home, lighter colors, especially white work very well in adding instant light to a space. White walls make a space look open and airy, and it brings in extra light without adding an extra light bulb!. Also ensure your ceiling is lighter than your walls. Go with white if your walls are white — it’s our personal favourite! Matte finish paints are also great for reflecting light. Whether it is the cabinets or flooring, gloss finish is brilliant for bouncing light around the room. As a finish, it is reflective, instantly brightening up a space and giving the illusion that there is more light than their actually is. Therefore, in adding more light to your home interior, consider a gloss finish for the kitchen, wardrobe, or even the floor. Natural light in any interior is a definite must have. It creates a more welcoming space and adds some beauty indoors. While considering the interiors for your home, find a way to bring in the light….naturally!